If You’re Into The Gym Scene No Doubt You’ll Have Come Across The Idea Of ‘Oats & Protein’ For Breakfast! Oats & Protein Have Been A Staple Of The Fitness Scene For Decades And Rightly So! Oats Provide Complex Carbs Which Deliver Energy & Feed Your Body For Hours Without The Nasty ‘crash’ You Get With Simple Processed Carbs! When Your Reach For The ‘protein’ Many Gym Rats Go For Eggs. Eggs Are A Great Source Of Protein But They Aren’t The Most Convenient Thing When You’re Rushing Around Trying To Juggle A Busy Lifestyle! Plus There’s The Unwanted Fat & Cholesterol to Consider! You Could Try Adding Oats To Protein Powder… If You Have A Penchant For Drinking Wallpaper Paste! Let’s Face It That $hit Is Lumpier Than A Teenager’s Back On PEDs! 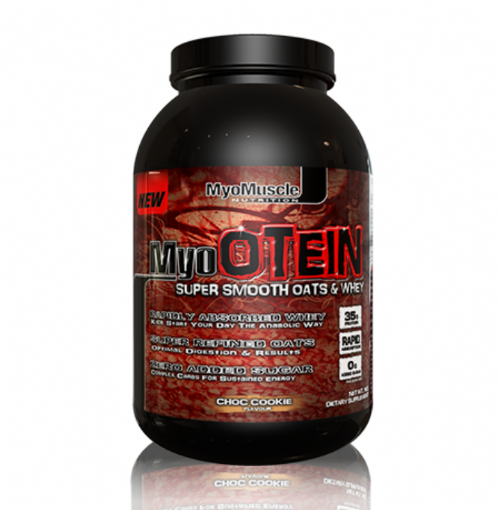 MyoOTEIN Delivers A Delicious Tasting, Super Smooth ‘Oats & Whey’ Solution That Mixes In Seconds & Tastes Amazing! MyoOTEIN Utilises Super Refined Natural Oats & Whey Protein For Optimal Digestion & Rapid Absorption - Exactly What You Need When You’ve Not Ate For Hours During The Night! 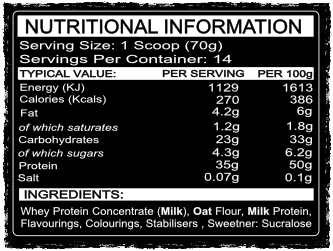 You Need To Get Protein And Quality Carbs To Your Muscles As Quickly As You Can To Prevent Muscle wastage & Fat Storage!